AFTER 1Malaysia Development Bhd (1MDB) dominated headlines last year, with investigations in as many as 10 jurisdictions worldwide, 2017 saw another scandal resurface from the past — Bank Negara Malaysia’s foreign exchange losses from over two decades ago. The 1MDB issue shone the spotlight on Prime Minister Datuk Seri Najib Razak last year, but the forex losses controversy swivelled it onto his mentor-turned-adversary Tun Dr Mahathir Mohamad, who was prime minister when the losses were incurred. The development added another layer to the guessing game over the 14th general election, which must be called by the middle of next year. Datuk Abdul Murad Khalid, former Bank Negara assistant governor, reignited public attention on the matter when he told a local paper in a January interview that the cumulative losses from the 1990s were in fact US$10 billion, much higher than previously disclosed. The federal government followed up on the disclosure by setting up a task force to investigate further. With a three-month deadline, the task force sought to determine whether there had been a cover-up and whether Parliament was misled. The task force established that the losses were more than previously disclosed and discovered attempts to conceal the facts, according to the government citing a report presented to the Cabinet. By June, the government announced the formation of a Royal Commission of Inquiry (RCI) to probe the matter, which the King consented to the following month. The five-man RCI panel was headed by Petroliam Nasional Bhd chairman Tan Sri Mohd Sidek Hassan. Other members were High Court judge Datuk Wira Kamaluddin Md Said; Bursa Malaysia Bhd CEO Datuk Seri Tajuddin Atan; Special Task Force to Facilitate Business (Pemudah) co-chairman Tan Sri Saw Choo Boon; and Malaysian Institute of Accountants member K Pushpanathan. The RCI panel convened from Aug 8 to Sept 19. It saw 42 documents and heard testimony from 25 witnesses over nine days of hearings. Witnesses included Abdul Murad and recently retired Bank Negara governor Tan Sri Zeti Akhtar Aziz, the latter informing the panel that the cumulative losses amounted to RM32.07 billion between 1988 and 1994. Other high-profile witnesses included Dr Mahathir; his former deputy and leading federal opposition figure Datuk Seri Anwar Ibrahim; former finance minister Tun Daim Zainuddin; and former Bank Negara adviser Tan Sri Nor Mohamed Yakcop, who was overseeing the forex trading activities when the losses occurred. Separately, Dr Mahathir had unsuccessfully attempted to disqualify Sidek and Saw from being on the RCI panel via legal avenues, arguing that it may cause prejudice that both were also on the task force that recommended an RCI be formed. The former prime minister was also unsuccessful in seeking a court order to defer the RCI’s proceedings. 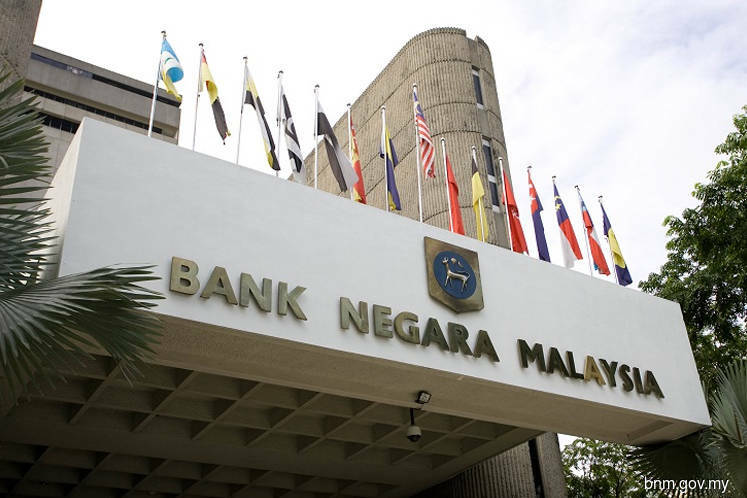 Over the course of the proceedings, the picture that emerged was that Bank Negara began actively trading in the forex markets during the time of the late Tan Sri Jaffar Hussein, who was governor from 1985 to 1994. The trading was aimed at mitigating the currency volatility caused by the 1985 Plaza Accord between France, West Germany, Japan, the US and the UK, which agreed to depreciate the US dollar relative to the yen and Deutsche Mark. The biggest highlight of the hearings was Nor Mohamed’s admission that he made the “mistake of hedging 100% against currencies in the 1990s”. He added that if he had not hedged, he would not be meeting his responsibility of managing the trading. Nevertheless, he said that the skills and experience gained on the trading floor in the 1980s gave the central bank the ability to frustrate currency manipulators at the thick of the Asian financial crisis in 1998. Nor Mohamed resigned from Bank Negara in 1994 to take responsibility for the losses. He later became an adviser to the central bank and finance minister before becoming Khazanah Nasional Bhd deputy chairman. In November, he resigned from Khazanah following the RCI findings. Dr Mahathir told the RCI panel that he was only aware of losses amounting to RM5.7 billion and not RM32.07 billion. He denied knowledge of Jaffar’s decision to engage in active forex trading and continued to question the RCI’s motives. Meanwhile Daim, who was finance minister from 1984 to 1991, denied knowledge of what happened and said he would have stopped it had he known. Anwar said he knew the losses amounted to RM9.5 billion in 1993 alone, but said he was bound by an audited figure of RM5.7 billion contained in Bank Negara’s 1993 annual report, which was audited by the auditor-general. Other witnesses stated that to offset the losses, 123 million shares of Telekom Malaysia Bhd and 47 million Tenaga Nasional Bhd shares were quietly transferred to Bank Negara at par value and sold. After the conclusion of the hearings, the RCI panel presented its findings to Parliament on Nov 30, with recommendations for a police investigation into possible criminal breach of trust and cheating relating to the losses. Among others, the panel singled out Dr Mahathir and Anwar for further investigation, as well as other then-officers of Bank Negara, the finance minister and the Auditor-General’s Department. On Dec 19, Dr Mahathir filed a fresh suit in the High Court seeking a declaration that the RCI report is null and void on the grounds that oral evidence was not attached to the report in the form of audio recordings and transcripts. With the RCI investigation concluded and its recommendations alluding to possible follow-up action, 2018 may see the forex losses fire continue to burn as Malaysians await the 14th general election.